Tool retailer Total Tools is set to tap growing demand for hardware goods in Melbourne’s north-west, after recently concluding a deal at the redeveloped former Bunnings store at the Sunbury Showroom Centre. The national retailer has signed a 10-year lease on the 1,100sqm showroom property at 85 Vineyard Road. Rents at the centre range from around $170 per square metre - $250 per square metre. CBRE Large Format Retail Negotiator Ryan Arrowsmith said the deal represented an outstanding opportunity for Total Tools to gain a presence in the rapidly growing Sunbury catchment. By 2021, the catchment area population of the Sunbury Showrooms is forecast to reach 94,183 (i.e. an increase of 11,853 people between 2013 and 2021 – roughly equivalent to the population of Colac in Victoria or Lithgow in NSW being added during this period). “Furthermore, research indicates that Sunbury trumps the nation with consumer demand for hardware goods, averaging around 21 per cent more hardware spend than the rest of Australia,” Mr Arrowsmith said. 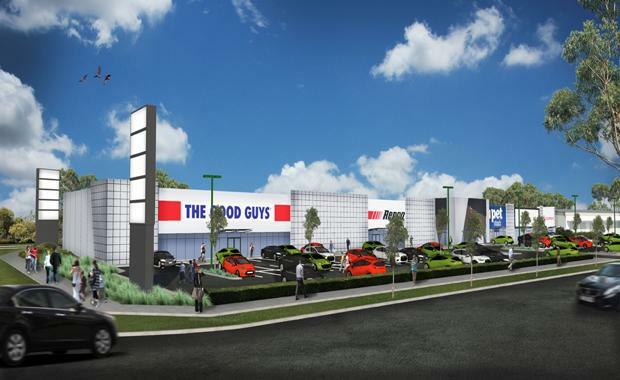 “Total Tools joins The Good Guys, Repco, PETstock and Godfreys in the Sunbury Showroom development, which has proven to be a strong case study for retail repositioning, with Bunnings targeting larger footprints as part of the hardware race against Masters Home Improvement. This is leaving some of the older, smaller warehouses behind. “Across the country, Bunnings is moving from smaller format stores measuring 6,000sqm – 9,000sqm to larger stores of approximately 14,000sqm – 21,000sqm. This is unlocking an opportunity for landlords to develop their ex-Bunnings freeholds in to what often is a higher and better use large format space,” he explained. CBRE Head of Large Format Retail & Director Chris Parry said the team had been able to significantly lift the income, improve the WALE and more importantly drive employment in Sunbury by introducing retailers who were not previously represented.